Ubuntu now is one of the most popular Operating System out there and probably most of our readers have heard of it, if not used it. Due to its ease of use and stability, it is considered as the most popular Linux distribution for the desktop. In this article we present 10 other Operating Systems which are derived from Ubuntu, which you may or may not know. Of all the Ubuntu derivatives, Kubuntu is perhaps the most popular. It is maintained by Canonical, the same company behind Ubuntu. Kubuntu uses KDE as the graphical environment instead of GNOME which is used in Ubuntu. It follows the same release cycle as Ubuntu. Xubuntu is also another Canonical Project. In Xubuntu, the graphical environment used is Xfce in place of GNOME. It is a distribution meant for systems with limited (read lesser) system resources. Xubuntu also follows the Ubuntu release cycle. Edubuntu is yet another Canonical maintained derivative of Ubuntu. Unlike the previous two distributions, it does not use another graphical environment. It uses GNOME, same as in Ubuntu. 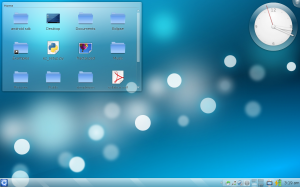 Rather, Edubuntu is Ubuntu for students and teachers and has been enhanced with educational tools and applications. And yes it also follows the Ubuntu release cycle. Ubuntu Studio is an Ubuntu distribution which is meant for multimedia production. It is an officially recognised Ubuntu distribution. 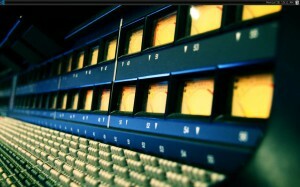 It includes a Linux kernel which has been modified for graphical, audio and video works. Unlike other Ubuntu distributions, it does not fit in a CD and comes in a DVD. 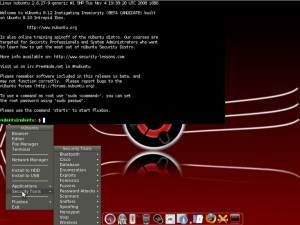 nUbuntu is a remastered version of Ubuntu for security testing. It combines the ease of use of ubuntu with a host of tools necessary for penetration testing of servers and networks. It is not a Canonical supported project. Its latest version is 8.12 which is in beta stage. 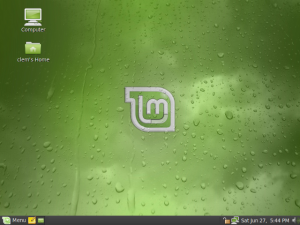 Linux Mint is another non-Canonical supported derivative of Ubuntu. Like Ubuntu, Linux Mint also uses GNOME as its default graphical environment but its interface has a distinct look from Ubuntu unlike other distributions mentioned here. It also comes with media codecs which are excluded with the default Ubuntu installation. Linux Mint also comes with variations with KDE and Xfce also. 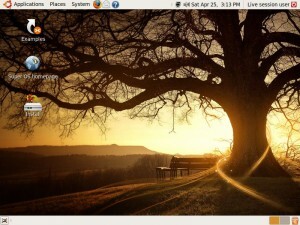 Super OS, formerly known as Super Ubuntu, is a remastered version of Ubuntu. It contains various enhancements over Ubuntu while still remaining compatible with it. It is prepackaged with mp3 and video-DVDs support. 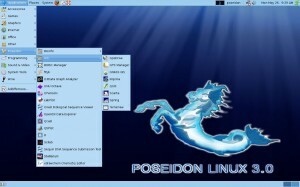 Poseidon Linux is a Ubuntu 8.04 LTS based OS which is mainly meant for scientists. It contains many free softwares used for scientific analysis like 2D/3D/4D, statistical tools, mapping tools etc. Originally created in Portugese language, it has now been extended to many languages due to its popularity among the scientific community. 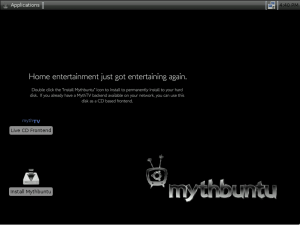 Mythbuntu is a media center OS based on Ubuntu and has the MythTV Media Center Software as its main function. It uses Xfce graphical environment by default although other environments can also be installed. Although not a Canonical supported product, it follows the Ubuntu release cycle very closely. Ubuntu Netbook Remix is a collaborative effort between Canonical and Moblin Project to optimise Ubuntu for netbook usage, i.e. lower hardware requirements, longer battery life and better display on smaller screen. There are also variants of Ubuntu Netbook remix which are made for certain netbook vendors.